Mary Seymour was the much wanted child of Katherine Parr, from her fourth marriage to Sir Thomas Seymour. 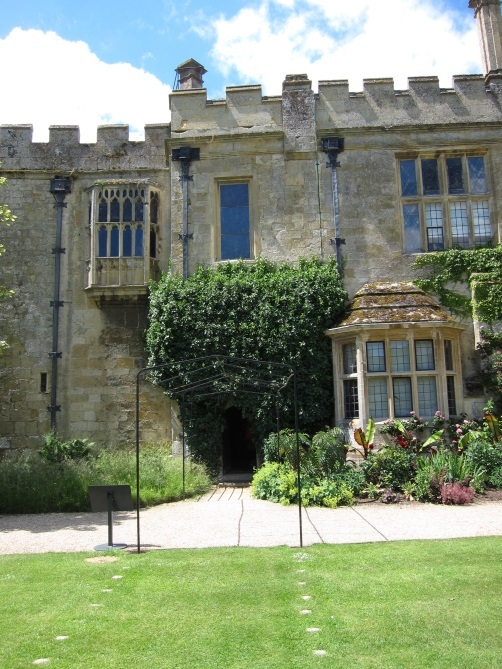 Queen Katherine moved to the delightful Sudelely Castle in summer 1548 to prepare for the birth of her child, and there are several letters between Katherine and Thomas, looking forward to the event. He hopes that she is getting plenty of fresh air and exercise and wishes the baby will be so small it could “creep out of a mouse-hole"
Katherine went into labour in late August and Mary was born on the 30th. There were no birth complications, but puerperal fever set in and Mary lost her mother when just six days old. In her final delirium, the Queen forgot the birth and made no direct provision for Mary in the will that she dictated: nevertheless, the wealth and influence of her father should have been sufficient provision. After Katherine's death, Sir Thomas left Sudeley, leaving the baby to the care of his mother, Margery, Lady Seymour. He did not long survive his wife and died a traitor's death on 20th March 1549. His daughter was disinherited by Act of Parliament – “An Act for disinheriting of Mary Seymour, daughter and heir of the late Lord Sudley, Admiral of England and the late Queen." “I do put (you) in remembrance for…some small pension, for my kindness to the late queen's child….My lord marquis of Northampton (Mary's uncle) to whom I should deliver her, hath as bad a back for such a burden as I have.He would receive her, but not willingly if he must receive her train." On January 21st 1550 a further Act of Parliament restored the little girl “in blood", thus in theory, allowing her to inherit, but it seems her uncle, Protector Somerset, was not keen to hand over the inheritance. Her other uncle, Northampton, was happy to hold on to Sudeley, but not give the child a home. Eventually, in March 1550, the Privy Council made a grant for her keep, backdated for six months, and to last until the 25th March 1551.There were no further grants, and it is supposed that Mary died young. Presumably, if she had lived, either Mary I or Elizabeth I would have made arrangements for her maintenance, they both being fond of their step-mother, and Mary, in particular, generous with money and gifts to her friends. Agnes Strickland, in her Lives of the Queens of England recounts a story that Mary Seymour survived to marry and have children. Modern historians discount this story.